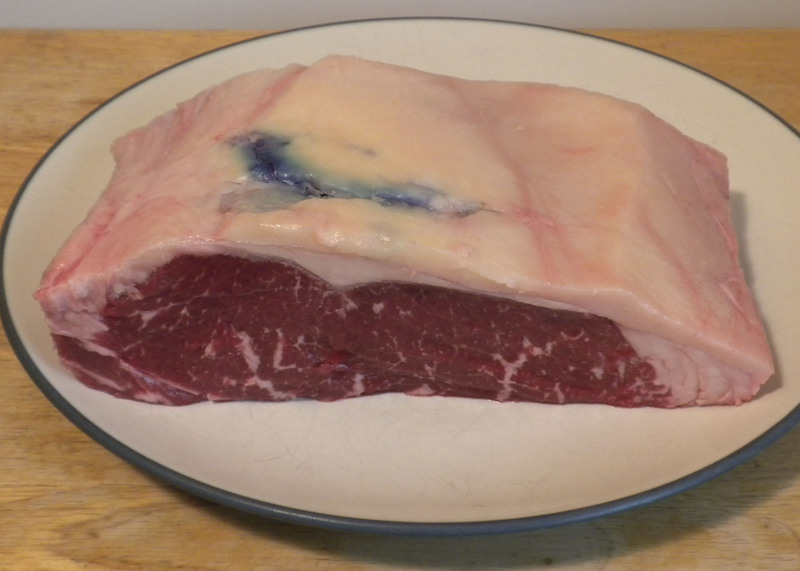 This picanha (New York tip) roast has a great fat cap, full of CLA. Where do you find the nutrients our bodies need in these days of industrial agriculture? We are given nutritional advice by the powers that be which is motivated by profit only. Food is not what it used to be. Hybrid varieties are developed for shelf life, not nutrition. Meat animals are fed unnatural feeds (as well as growth hormones and antibiotics) to make them fatten faster and to increase profits. Factory food has made it hard to get essential nutrients. Soils depleted and contaminated by pesticides and artificial fertilizers compound the problem. My solution is to eat the pure foods of our ancestors, unmodified, raised and cooked in traditional ways. Eating this way has brought me back to good health and greatly increased my enjoyment of food, because real food tastes so much better. Many other people have found the same solution. Every now and them, research comes through that supports the real food way of eating, and science confirms what instinct and feeling good has already told us—real food is good for us, and gives our bodies what is needed to support the natural functions that keep us healthy and strong. However, many people have turned to using nutritional supplements as a solution. These supplements vary widely in their content and purity. Let me put it this way. What if a substance was developed that would give the following benefits? Would you want to take a supplement that contained this very beneficial substance? Well, you do not have to. Various studies have shown that all of the benefits listed above come from eating food containing Conjugated Linoleic Acid, more commonly known as CLA. The very best source of CLA is grassfed meat and fat, which are rich in this wonderful nutrient. CLA is a very useful nutrient that is used by the natural functions of our bodies to create all of the benefits listed above. CLA is found in its most digestible form in the fat and marbling of grassfed animals. This is yet another reason to eat the fat on and in grassfed meat, and to get well-marbled grassfed meat, rather than the leaner grassfed meat. While CLA can also be found in dairy products from grassfed and grass-finished cows, I believe that grassfed meat and fat are the richest source, and the easiest to absorb. 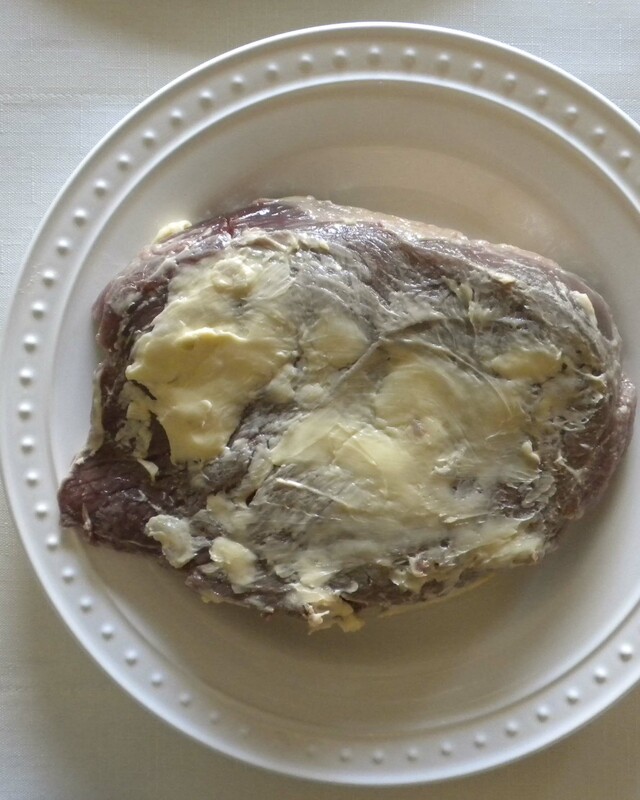 Lean grassfed steak coated with pastured butter before cooking. The ugly truth is that far too much grassfed meat has all the visible fat trimmed off, and has very little fat in the meat. The most nutrient-dense component of grassfed meat is the fat. The fat of grassfed animals is rich in omega-3 fatty acids, conjugated linoleic acid (CLA), and many other nutrients. The fat also gives great flavor and enhances tenderness. The Weston A. Price Foundation advises always eating meat with fat. Traditional peoples, from the peoples of old Europe, to the Native Americans, to the Chinese, always ate meat with plenty of fat. Yet many producers and sellers of grassfed meat trim off all the visible fat from their meat, and some deliberately raise their beef to be lean. For me, the most frustrating part of buying grassfed meat is getting meat with enough fat. The key is to buy meat that comes with enough fat, both visible and internal. This involves careful shopping and lobbying producers. But sometimes, no matter what I do, the meat is just too lean. I have learned to compensate for this, just like our ancestors did. If the fat is not in the meat, then you can bring the fat to the meat. Genetics have a lot to do with the fat content in beef. Breeds that have been raised for meat, such as shorthorns and Angus, are much more likely to have more fat. Breeds that are noted for leanness, such as Galloway or Charolais, are much more likely to be very lean. Traditionally, cattle were processed for meat in the late spring or early summer, after they had been eating the rich green grass of spring for as long as possible. This was the best natural way to put fat in the cattle, and meat processed at this time has more fat, more flavor, and more tenderness. There are a number of ranchers and producers who only process their beef at that time of year, and freeze it. If you have enough freezer space, that is a particularly good time to buy a large quantity of meat. I have also found bison and lamb processed after feeding on green grass for a while to be fattier, more tender, and more tasty. The attitude and belief of the rancher actually raising the meat animal has a huge impact, as there is much they can do to make the meat fattier or leaner. If the producer brags about how lean and fat free their meat is, the meat is going to be very lean. If the producer talks about the benefits of grassfed fat and why it is good to leave some fat on the meat, then your chances of getting fattier grassfed meat are a lot better. If the producer praises the virtues of grassfed fat, and also praises the leanness of their meat, you may have a choice. 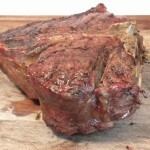 Many producers and butchers carry both lean and fattier grassfed meat. I have found that just asking for the fattiest grassfed cuts they have makes a huge difference. Asking for fattier meat also tells a wise producer that the demand is out there, and may well increase the supply of fattier grassfed meat. 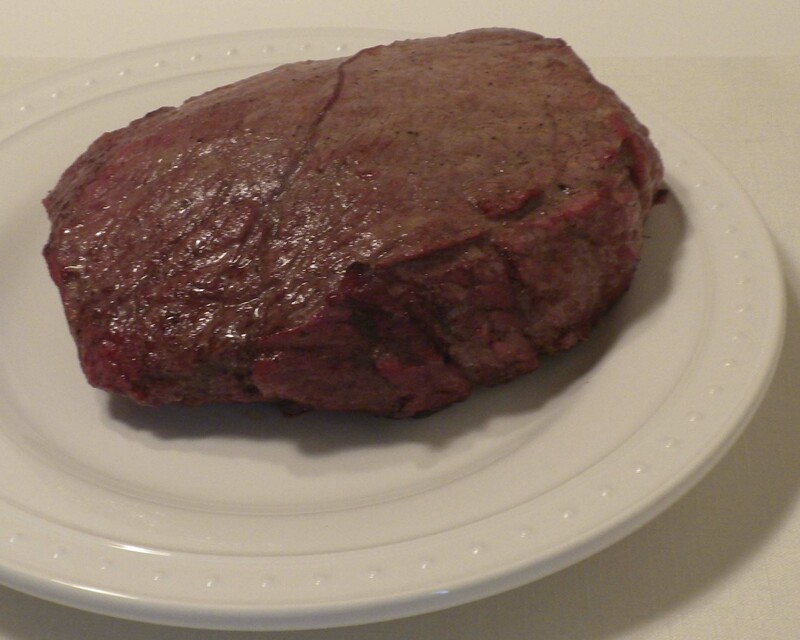 The same lean grassfed steak (as shown above) after cooking with a coating of butter. 1. Butter. Pastured butter is the best friend of lean meat. You can coat the meat with softened butter before cooking. You can sauté the meat in butter. You can baste the meat with butter. You can put butter directly on the hot meat when it is served at the table. All of these methods will improve the meat and give you the fat that should be eaten with it. 2. Beef tallow, lamb tallow, and bison tallow. 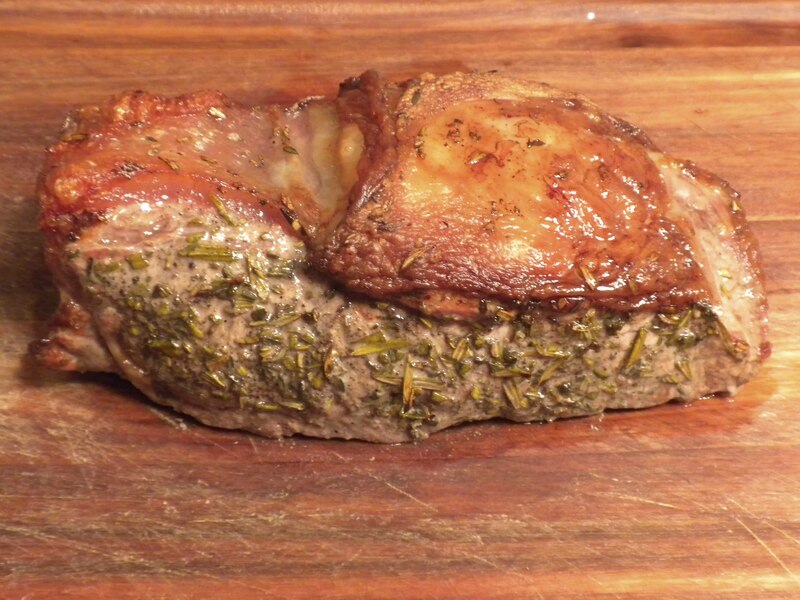 Tallow can be placed directly on roasting meat, so it can baste the meat as it cooks. You can also sauté meat in melted beef tallow. You can melt some tallow and use it to baste the meat as it cooks. You can melt some tallow in a roasting pan and roll the meat in the melted tallow before cooking. 3. Bacon. You can place fat slices of bacon directly on a roast, or render the fat from bacon and use it for sautéing. 4. Natural, unhydrogenated lard. 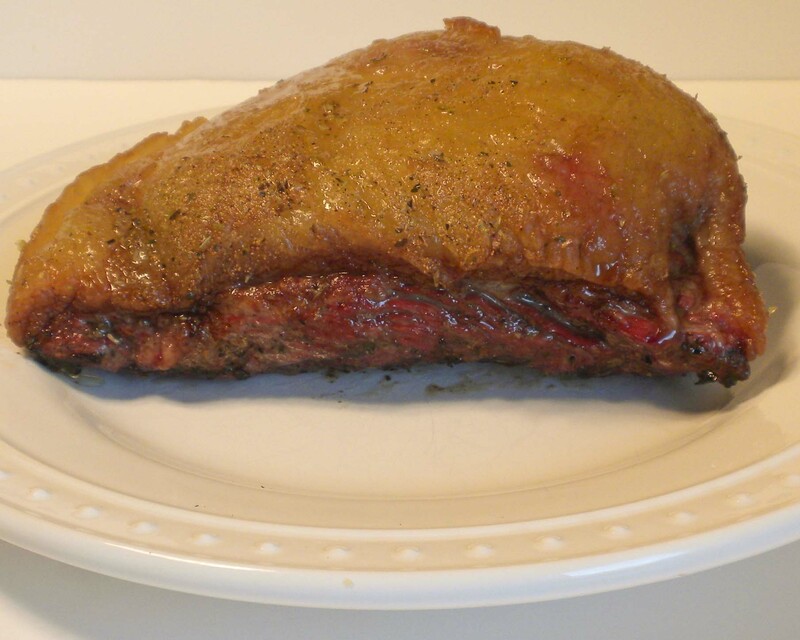 You can rub softened lard all over the meat prior to cooking. You can sauté the meat in melted lard. 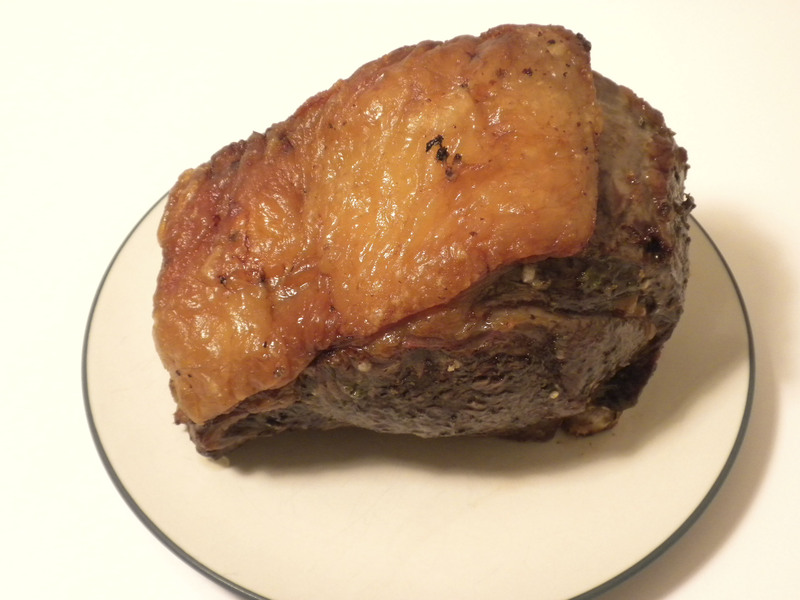 You can place lard directly on top of a roast, and baste during the roasting. Tender Grassfed Meat contains a lot of information on how to add fat to meat, and how to cook meat with the right amount of fat. This post is part of Real Food Wednesday, Fight Back Friday, Monday Mania, and Fat Tuesday blog carnivals. Do you know what a fat cap is? Most people today do not. A fat cap was once considered absolutely necessary for roasting meat. Fat caps will greatly improve the nutritional qualities and taste of any grassfed meat. 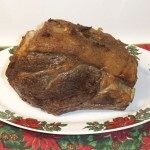 English Style Prime Rib, page 86, Tender Grassfed Meat. This post is part of GAPS Friendly Friday blog carnival. Read more great Real Food Wednesday blogs at Kelly the Kitchen Cop.